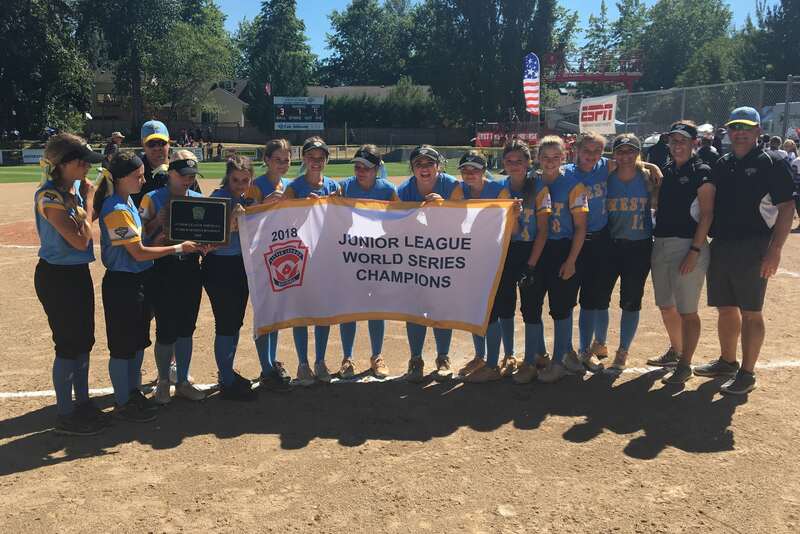 Snow Canyon Little League (West Region), from Santa Clara, Utah, captured the 2018 Junior League Softball World Series Championship by defeating Smithville Little League (Southwest Region), from Smithville, Texas, 9-3. West got on the board in the first inning. Jael Wilde singled on a 0-1 count, scoring two runs. West scored four runs in the second inning. Kambrie Stuart, Ginny Deming, and Tyler Mooring all contributed in the big inning with RBIs. Jenna Thorkelson took the win for West. She allowed four hits and two runs over five innings, striking out six and walking zero. Mooring threw two innings in relief out of the bullpen. Mooring recorded the last six outs to earn the save for West. Brooke Otto took the loss for Southwest. She allowed seven hits and seven runs over two innings, striking out two and walking one. West collected 14 hits on the day. Mooring, Wilde, Addison Lacayo, and Stuart each had multiple hits for West. Wilde and Mooring each collected three hits to lead West. Southwest tallied seven hits on the day. Kiara Trevino and Gabriela Leal each racked up multiple hits for Southwest.